In the middle of lively Harajuku, GALLERIE TOKYO stands out. The interior of the store is as if, while you are in Japan, you suddenly landed in a foreign country, and it is overflowing with exciting items. 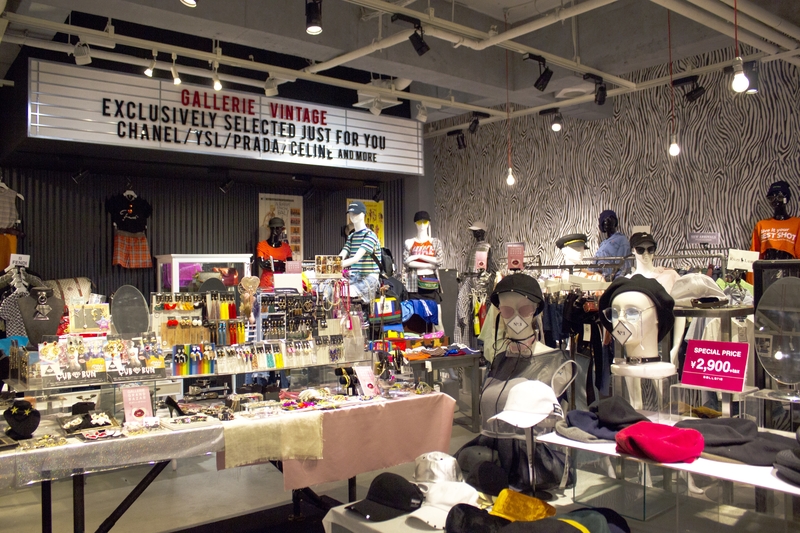 In accordance with the concept of the shop, being “a place where fashion addicts gather”, it has items from brands that have not yet been released in Japan, that cannot seem to be found anywhere else and eye-catching GALLERIE original remake items, and can be seen bustling with girls with high fashion sense, who are a little different. They handle an abundance of different types of items, from sunglasses to hats, luxury brand vintage items, party style clothing, and fashionable items that any girl can brag about. GALLERIE’s target audience is people from the age of 20~50, and from a wide range of settings, so if you go you will definitely not have a problem finding something you want. For items that everyone will ask you where you got them from, you can definitely find them at GALLERIE. A very popular brand right now. At GALLERIE, items that are not handled in Japan arrive in a restricted, irregular quantity. An LA jewelry brand. It is a brand that is gathering a lot of attention from fashionable people. There are few handling them in Japan, and GALLERIE has the largest assortment. A very popular item in the GALLERIE original remake collection. It can be worn fashionably through the whole year. GALLERIE's Vintage items offer trends faster than others. The price is affordable, so you can incorporate trends quickly.